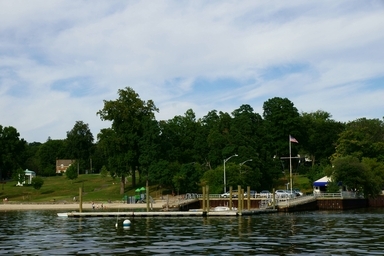 Glen Cove Yacht Club is located just inside the breakwater of Hempstead Harbor off Long Island Sound. It provides quick and easy access to the superb boating waters of the Sound, New York City to the west and New England to the east. GCYC sits on an historic site in the history of yachting. In 1904 the New York Yacht Club's original clubhouse building was moved from New Jersey to the location of the current clubhouse and was called "Station 10". The stations were places where the NYYC members could congregate and provision their yachts. In 1949 it was closed and the building taken to Mystic Seaport, and it now resides at Harbour Court, the NYYC's site in Newport, RI. In 1960 a small group of boaters leased the site from the City of Glen Cove and formed Glen Cove Yacht Club, using the stationmaster's residence of Staion 10 as a clubhouse. That building was destroyed by fire and replaced with the present clubhouse. Located alongside Morgan Park, the Club has a beautiful view of the Sound and Hempstead Harbor. Entering Hempstead Harbor from LI Sound pass to the west of the breakwater, which has a lighted tower ("FL G 4s 24ft 5M "5"; Lat: 40° 51.72′; Long: 073° 39.62) on its west end. 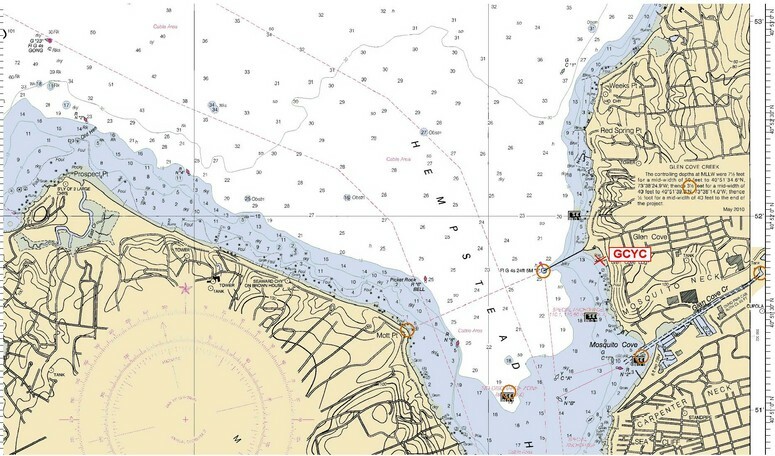 Turn east parallel to the breakwater to GCYC dock (Lat: 40° 51.77′; Long: 073° 39.28′) Call VHF Ch. 69 for the Launch Operator.